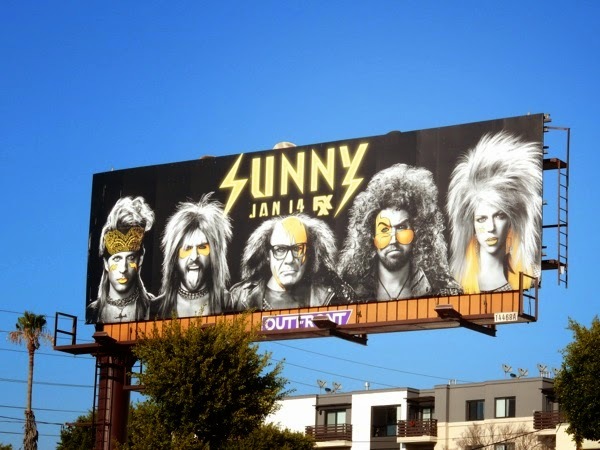 This year the cast of It's Always Sunny in Philadelphia are having some fun and rocking it out for the tenth season of their FXX comedy series. 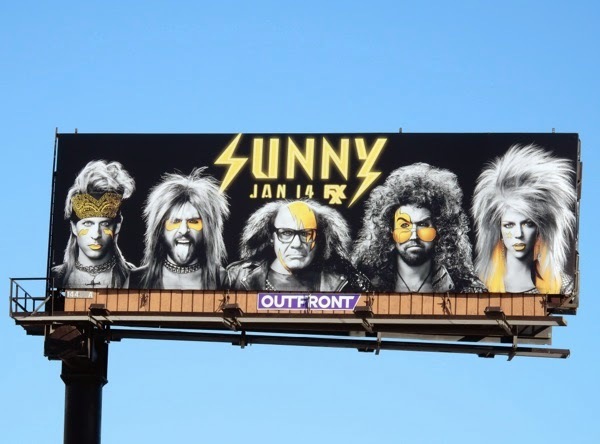 The show always seems to have a blast coming up with ideas for their season promo ad campaigns, and to keep things interesting and catch your eye this TV season, 'The Gang' from Paddy's Pub are channeling their inner rock star as 'Dennis', 'Charlie', 'Frank', 'Mac' and 'Dee' look like they are auditioning to become members in KISS or some other glam metal band. 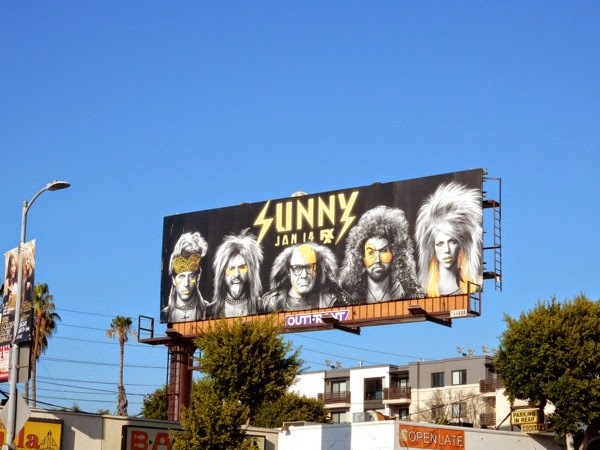 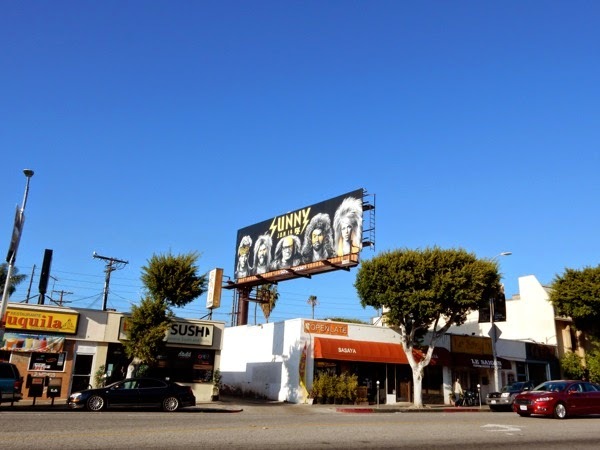 This head-turning parody billboard was snapped along Santa Monica Boulevard in West L.A. on January 3, plus along Hollywood Boulevard at Gower Street on January 14, 2015. 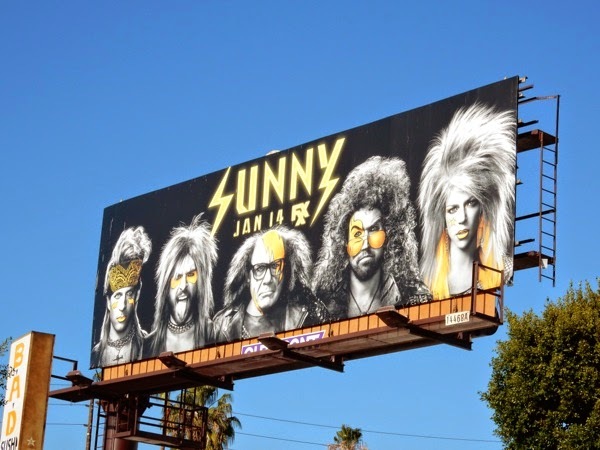 If you're a fan of the show, be sure to check out these previous season promo ad campaigns for It's Always Sunny in Philadelphia here at Daily Billboard. 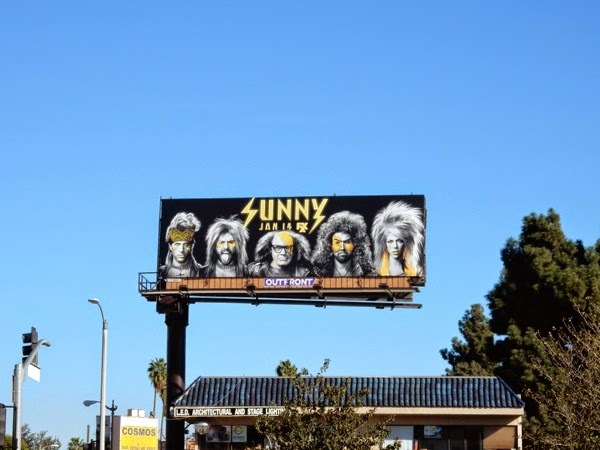 Tune in tonight to see what horrible misadventures, failed schemes and inappropriate behaviour The Sunny Gang get up to this tenth season.